Nitrogen is one of the most important plant nutrients and is responsible for protein formation and is vital for photosynthesis. Many crops like nitrogen-greedy corn quickly deplete the supply of nitrogen in the soil. Even many lawn grasses take significant amounts of nitrogen from the soil. In order for the soil to continue to support healthy plant life, the nitrogen must be replenished either naturally or with synthesized fertilizers containing ammoniacal nitrogen or urea. An inexpensive, high-nitrogen fertilizer, urea is heavily used in commercial farming. It contains 46 percent nitrogen, promoting vigorous plant growth and high crop yields. Originally, urea was a soft substance used in fertilizer blends, but today, it is manufactured as granules with few pollutants released into the environment during manufacturing. Ammoniacal nitrogen is nitrogen derived from ammonia and is one form of nitrogen that plants can readily use. Ammoniacal nitrogen is most commonly found in the soil as ammonium, which is created naturally by the nitrogen cycle or introduced through synthesized fertilizers and deposited into the soil for plant use. 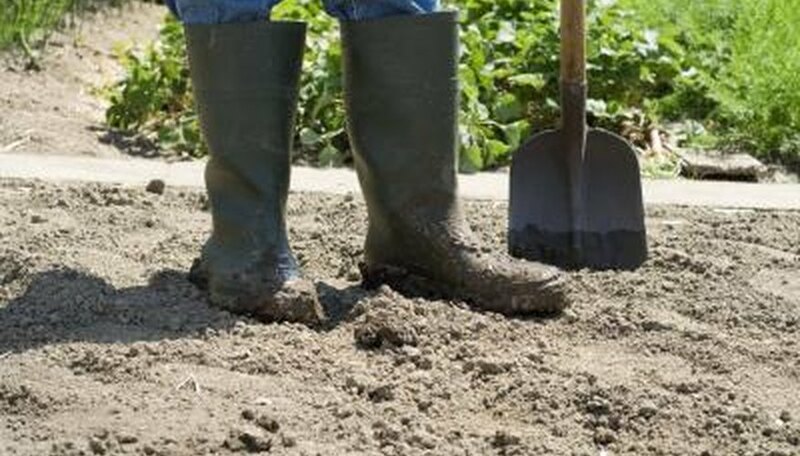 However, if the soil is alkaline with a pH level of 8.0 or higher, the ammonium converts to ammonia and evaporates, removing the nitrogen from the soil and releasing it into the atmosphere. Rain and legumes such as beans and alfalfa deposit atmospheric nitrogen into the soil. At the same time, plant and animal waste decomposition and synthetic fertilizer application also deposit nitrogen into the soil. However, all of this nitrogen is not yet in a plant-usable form. Bacteria and other microscopic organisms in the soil take the atmospheric nitrogen and the synthetic nitrogen including urea and convert them into ammonium. Bacteria further convert some of the ammonium to plant-usable nitrate. Plants take up both the nitrates and the ammonium as nutrients for growth. The conversion of atmospheric and synthetic nitrogen into usable ammonium and nitrates takes time. Excess, unconverted synthetic fertilizers left on the surface of the soil run off or leach into the community’s waterways, causing contamination problems. Additionally, even though urea converts quickly to ammonium in the right conditions, in dry conditions, urea converts to ammonia and a significant amount of nitrogen is lost through evaporation.